Tengku Irfan easily wowed the audience with his expressive musicality. HE’S only 15 but Tengku Ahmad Irfan can melodically negotiate his way around the 88 keys of the piano like an old pro. Thailand Philharmonic Orchestra (Bangkok) and pianist Yoheved Kaplinsky at the Aspen Music Festival in 2012. Tengku Irfan will perform at the Malaysia In Symphony: 15th Anniversary Concert at Dewan Filharmonik Petronas, in conjunction with MPO’s 2013/2014 season. The two-night concert begins with a special Gala Concert tonight for subscribers and guests, and a public performance tomorrow at 3pm (see accompanying details). The MPO, led by music director Claus Peter Flor, will perform a repertoire of Prokofiev’s Piano Concerto No. 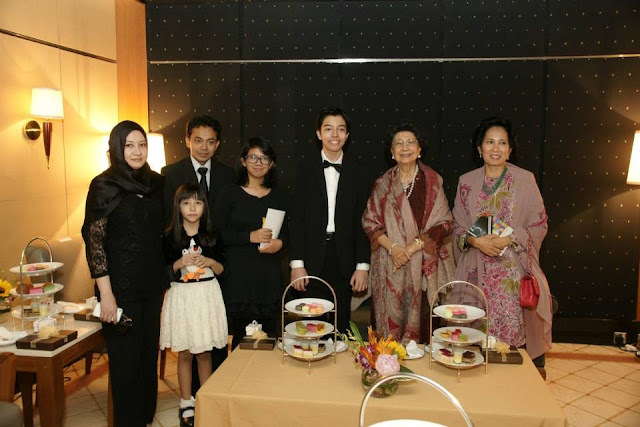 2, Strauss’ Der Rosenkavalier Waltzes and a brand new composition by Tengku Irfan, titled Sahibul Hikayat Fantasy Overture. The latter’s currently doing a double major in piano and composition as well as studying conducting at Juilliard Pre-College in New York. 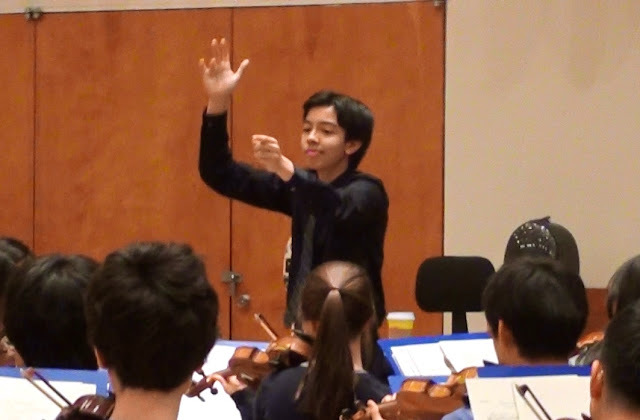 He is a Teaching Artist Intern for the New York Philharmonic Composer’s Bridge Program and is a High Honors high school student at the Professional Children’s School. 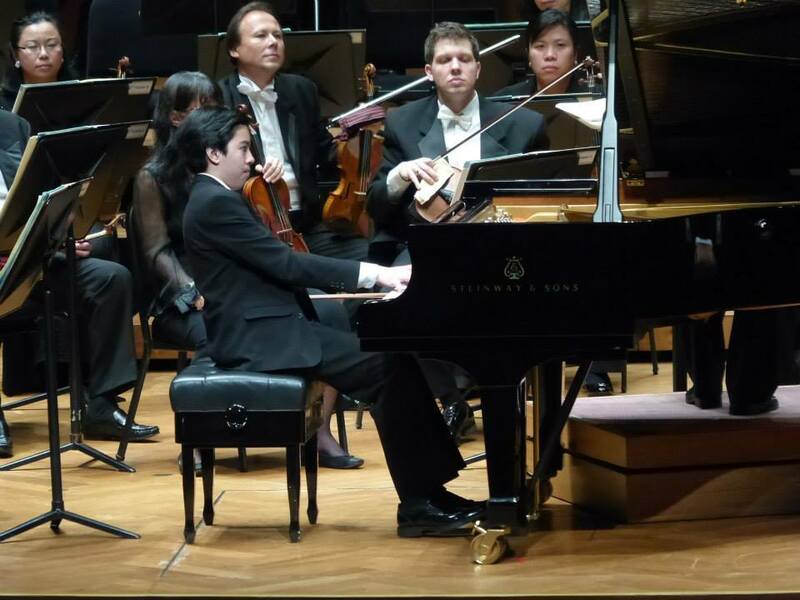 He recently won first prize in the Prokofiev Piano Concerto No.2 Competition at the Aspen Music Festival 2013. He won both the ASCAP Morton Gould Award and Charlotte Bergen Award in 2012 for his composition String Quartet No.1. His composition was recently performed by the New York Philharmonic. 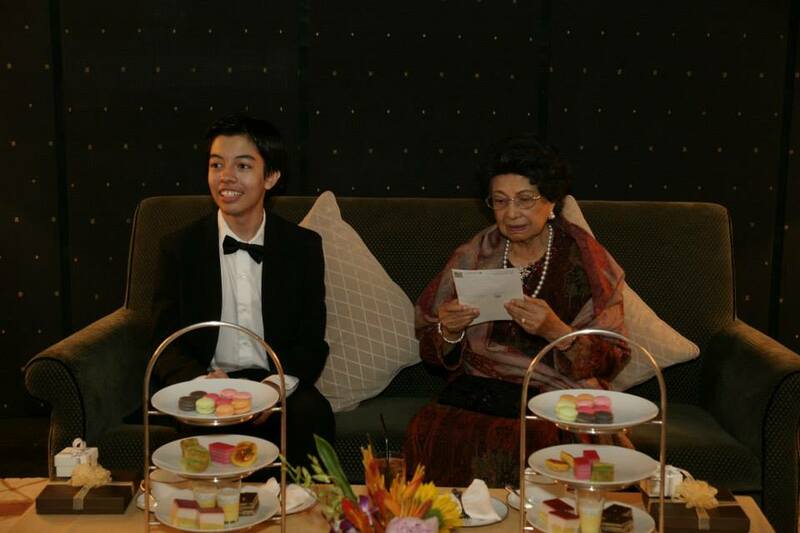 In an email interview, Tengku Irfan talks about his experience overseas and his passion for music. What’s your typical day like in New York? During weekdays, high school takes up all mornings and afternoons, and homework occupies my nights. Two to three hours during late afternoons will be for individual lessons or self-work for piano, composition and conducting. Events such as performances, academic tests and research projects may alter the schedule. Saturdays are full days at Juilliard Pre-College where I have group lessons on ear training, theory, counterpoint, studio classes for both majors, etc., and also orchestra rehearsal and chamber coaching. Sundays are for catching up with whatever that needs to be attended to! Most, if not all, of the world’s best performers and orchestras come here to perform, so I get to stay in one place and yet, I’m able to attend so many great performances. What are some of your favourite classical music pieces? This is difficult to answer because I have so many favourite pieces by composers that I love, such as Beethoven, Mahler, Prokofiev, Corigliano and many more. Recently, I have been listening to Shostakovich’s Symphony No.4. I really love its complex structure. There are so many things to unravel as we analyse it. What’s the easiest and the hardest pieces you’ve performed so far? Prokofiev’s Piano Concerto No.2 is, without a doubt, one of the most difficult pieces for me to perform. It not only imposes extreme technical demands on the pianist but also requires musical depth. The piece is also demanding on the orchestra. This makes it even more challenging for both the soloist and orchestra to tie-up together nicely. Another piece which is tricky in a different way is probably Catenaires by Elliot Carter. It is a fast piece with a continuous chain of random notes with no repeated motifs or pauses at all. In terms of easy pieces, I don’t believe that there is actually one. Even though a piece may be technically simpler, the performer will always be challenged by the need to deliver it musically. 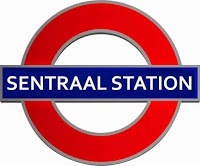 I love it there! My teachers are awesome. They keep on raising the bar to constantly keep me on my toes and are always willing to give extra lessons whenever needed. They’re also always full of surprises. For instance in conducting, I may be given an unfamiliar quintet which I have to simultaneously sight read, transcribe for two-hands and sing another part on the spot. I’m also lucky to have a circle of wonderful friends from both the Pre-College and College divisions. We constantly help each other, for instance by being an accompanist when a colleague is entering a competition. Tell us about your new composition. Sahibul Hikayat Fantasy Overture is inspired by the elements of several different forms of traditional music. The listener is free to interpret the music from his or her personal perspective or even relate it to his or her own experiences. What’s your creation process like? When it comes to inspiration, there are good and bad days! I was about halfway done at one point when suddenly I changed my mind and had to start all over again, which left me only 2½ months to complete the piece. How many compositions have you done so far? I can’t say for sure but in the last two years, between 10 and 15 perhaps. These range from solo and chamber works to large orchestral pieces. You like to improvise during performances. How did this come about? I saw pianist Robert Levin continuing this tradition of improvising cadenzas. I thought that it was interesting and a fun approach and decided to do the same. Why do you like the piano so much? The piano somewhat represents the range of the orchestra, from the very low to the very high pitches. Since I love the orchestra, the ability of the piano to emulate it to a certain degree is probably why I like it. Do you enjoy other genres of music? I enjoy listening to jazz. Art Tatum and Chucho Valdes are amazing! I love spending time with my siblings and friends. We may just hang out together or go to the movies, etc. I’m also very much into playing multiplayer computer and iPhone games with my friends, such as Asphalt 7. In August 2011 a couple of days before Ramadan, Irfan with his siblings n parents were back in Kota Bharu to bid us farewell. Before flying off to New York.. 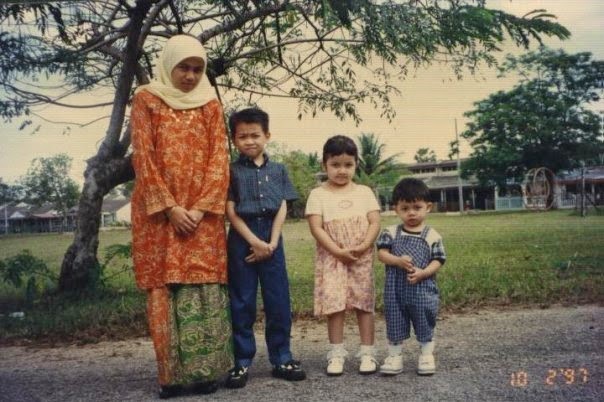 I remember his final goodbye, in Malay, of course he seldom uses English to communicate with his grand aunts, understating his adage ' Irfan anak Malaysia sejati', ..' Don't worry, l won't change except growing up a few inches hahahaha.. That is Irfan who always laughs after stating something. Well growing a few inches indeed, two years later when we met him recently in August 2013, he has grown taller by more than a few inches, he is now a 5 ft 4 inch lanky teen at 15 yrs old. 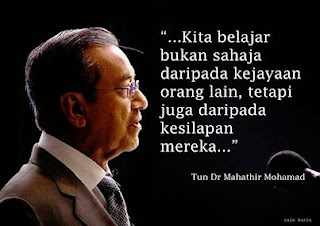 Exactly what he had promised, he hardly change.. he is still humble and lovable. 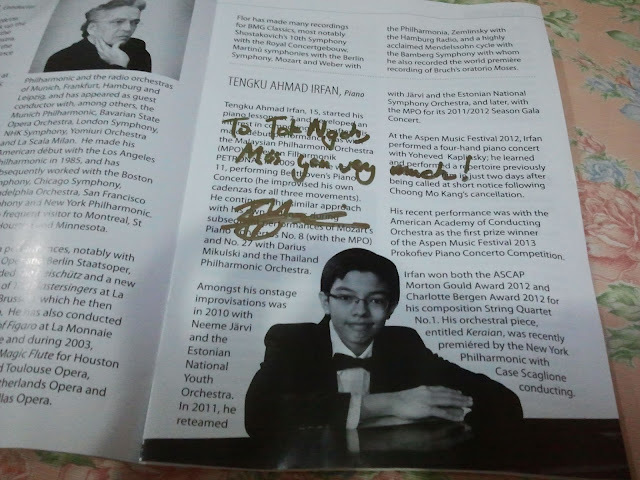 In fact he practically hugged me and my sister, who he affectionally called Tok Teh and Tok Su, after his performance at the Gala MPO which premiered his composition Sahibul Hikayat Fantasi Overture and that evening too, he has also flawlessly tackled Prokofiev's piano concerto no 2, which has been described as a fiendish piece by most experienced pianists. 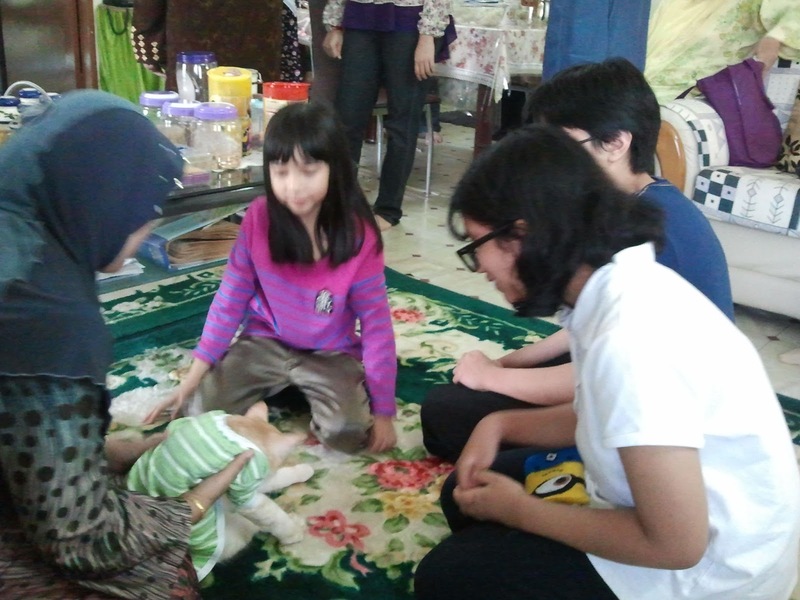 There he was in front of us, his grand aunts, our cucu or grand nephew, just the same Irfan we know and love since he was a baby... Nothing pompous about him or no flaunting off accent with an American drawl . He still sounds very Malaysian and keep on speaking in Malay! 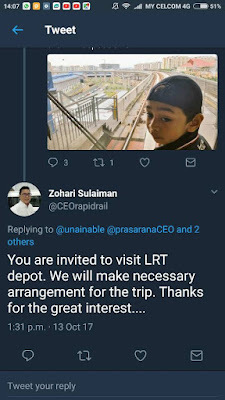 Praise be to Allah, His Most Mighty who keeps Irfan just as humble and keeping low profile as ever before. 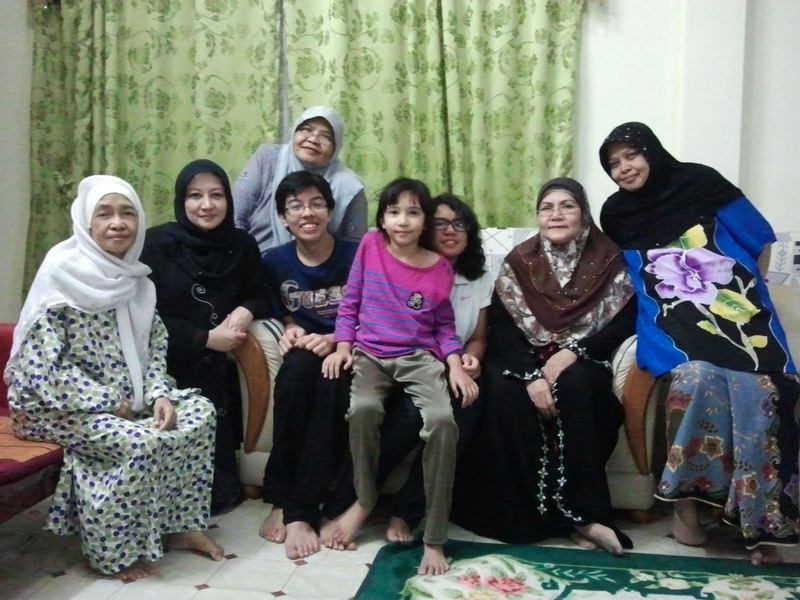 Irfan and family did return to Kota Bharu for a day trip on 23 August 2013, stealing a few hours from their hectic schedule just to be with his grand aunts, grand uncles and cousins, l recollected his father's words when we talked on the phone just as they arrived from New York on Raya day this year, "we could not make it last year (going back to Kota Bharu), and we feel our holidays back to Malaysia is not complete then but this year 2013, we make it a point in fact planned it from base, to fly back to KB..." How wonderful it feels to be remembered and appreciated by our niece (Irfan's mother) and nephew in law, and of course enjoying total devotion from Irfan and his sisters. 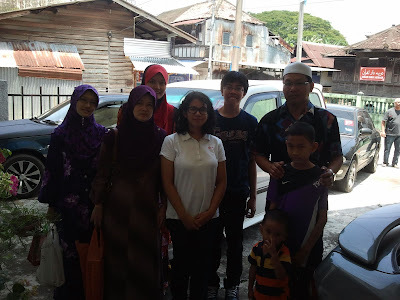 Yes we do have great time with them, we infact held a little family feast, inviting relatives to welcome home Irfan and family, which l think was a bit perturbing for Irfan's mother who l believe wanted to have quiet moments with her aunts. Anyway Irfan especially , maintain his usual humbleness, obliging requests to have his photo taken, he dutifully salam with everybody, stand by the door to bid our guests goodbye (which the Malays propounded as good manners to send off guests each time they left) and bears all questions without flinching a bit even some questions are a bit personal, yet I am proud to hear him answering in a matured way, far beyond his tender years, for e.g. 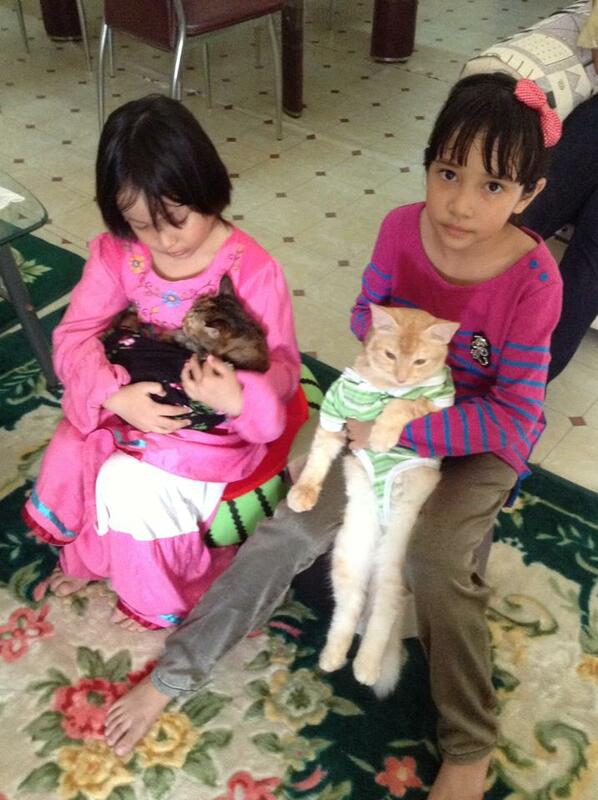 one relative asked him, ' do you plan to come home for every Raya? 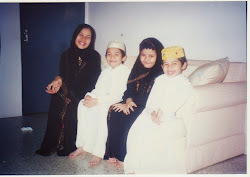 His answer was, 'Alhamdulillah, the last two years we could spend our hari raya in Malaysia. 'A very uncommitted answer yet it sounds gracious without hurting the feelings of the person who had asked. 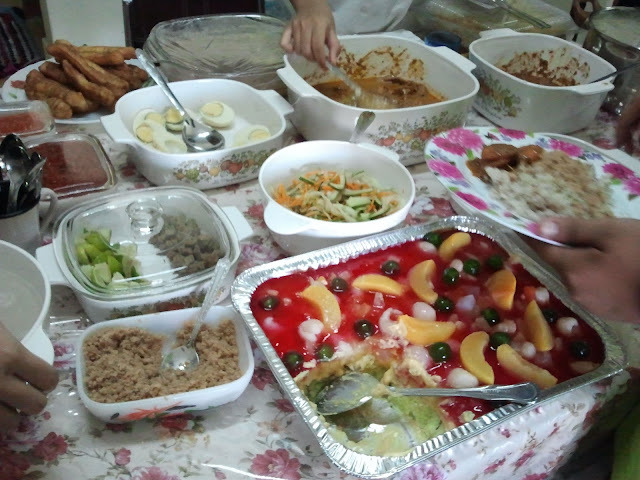 A little feast of local Nasi Dagang and Laksam to welcome the New York family back in KB and of course the delicious and colourful trifle courtesy of our niece, Norry. 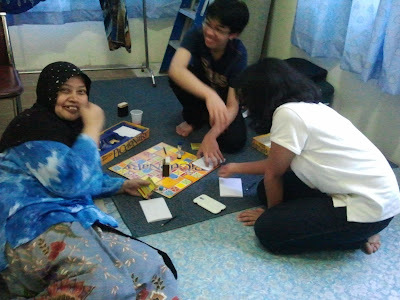 Enjoying playing board games with Tok Su and his sister, Hana..
Tu dia Iman dah dapat riba Kaka dan Irdina riba Lulu ..
One outstanding change in Irfan is his profound love for music deepens more and more, probably without a piano on hand, he is sometimes restless. I saw him relentless stalking round our living room, 'Irfan, do you need anything? Food or drinks? I asked.... ' No no nothing, please don't worry Tok Teh, its just music, ' he laughed... Oh my dearest cucu is thinking of his music, everytime, everywhere, most of the time. ... Piano will conjure up all the time in his mind! Oh dear, lots of mistakes in my narations, should be His Most Mighty, and in the third last paragraph , l typed last year and l meant it to be this year'. 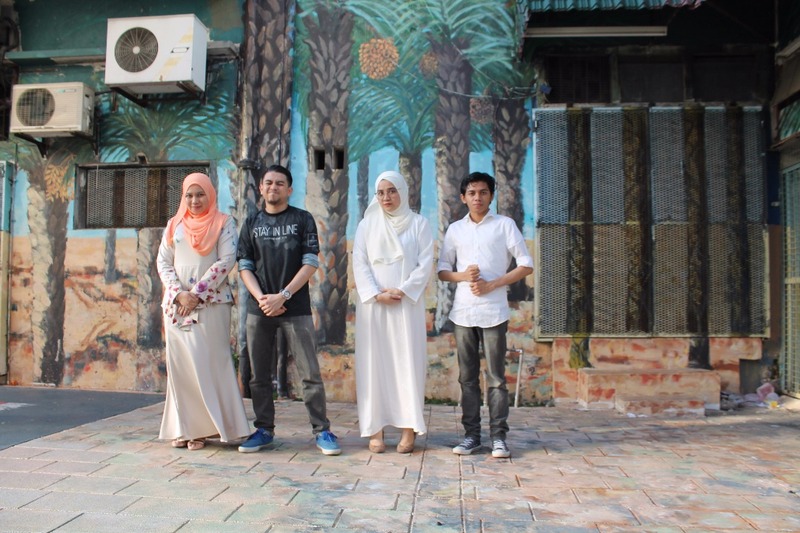 O my English... Hope your blog readers don't mind .. Mmmstill missing Iran n his siblings n parnts ... And Wan Ahmad Daiyan too. Alhamdulillah......Allah hu Akbar Allah hu Akbar Allah hu Akbar, Allah has bestowed the family of AIF with a child prodigy. Am very proud to have a famous prodigy in the family who may be very famous but still very humble and down to earth. Allah has choosen this family out of the many millions in the world. Subhanallah, no words could describe it but only praises to the ALMIGHTY. Allah hu Akbar. 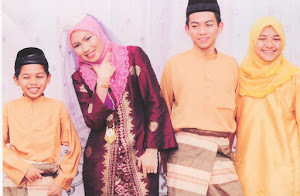 Praises to the ALMIGHTY too for the other prodigy in the AIF family...AKMAL your son, soon to be a full-fledged AL-HAFIZ! Syukur Alhamdulillah! I will edit the mistakes later.. It is a joyous occasion indeed. Welcoming it with gratitude a gift would carry with it the wonder and abundance of His benevolence, never inadequate. I share the success and joy. I wish him all the very best in his undertakings. I really enjoyed reading your very stylish eloquence and as well the well taken pics too. Very impressive, and really good see all the family members, relatives get together, with Irfan the main attraction. Outstanding! You have a great week, and keep a song in your heart. Ps, I'm not sure you popped in my blog with Sharon Stone's header pic and pics? I just added some eyebrow, improve blood circulation additions to my chatterbox. Hi Lee...thank you for wishing the best for Irfan. I just popped in your blog, saw Sharon Stone and Miley Cyrus and cabutttttt...hahaha!